I am making a few gifts for friends and wrapping several other gifts, so my living room looks like Santa's workshop right now...so this Christmas tour will be called Christmas close-ups to avoid capturing my mess haha. It has been hard to get in the mood this year, but I finally got all the stuff I wanted out and up. 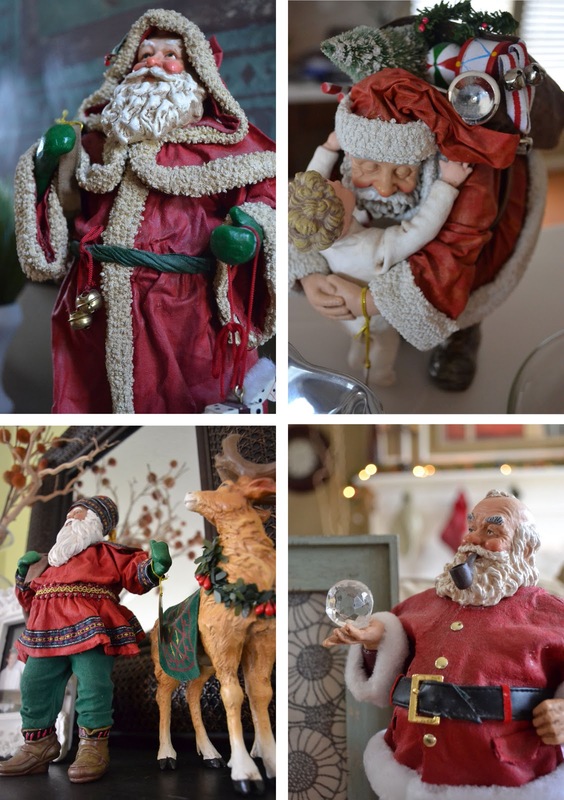 I lot of my Christmas decorations have been given to me by my mom or my grandmother, but there are several that I buy on sale each year to add to my collection. 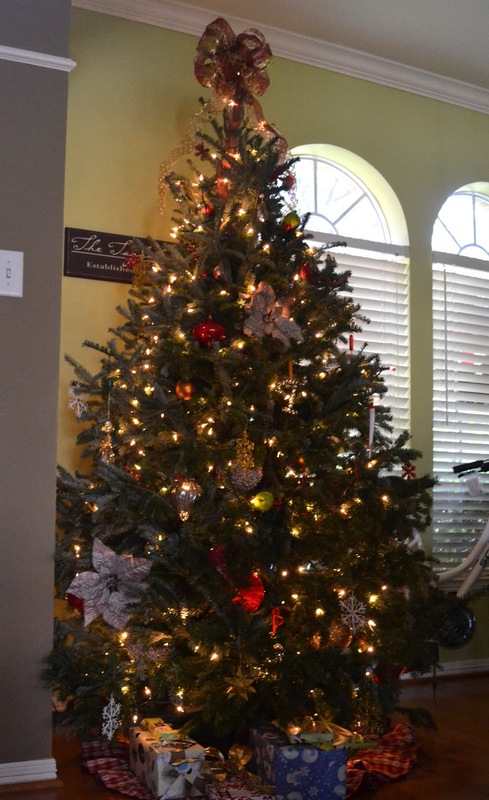 Lastly, our tree...we just have one. I have no clue how people manage to have the energy for two! I don't decorate with very much red in my home...actually barely any. My "warm" color in my home is orange, but at Christmas time red floods our house. I have really been wanting to do a neutral Christmas pallet, but I just don't have the money to switch it up every year. I just continue to buy silver and gold ornaments in the hopes that eventually there won't be as much red, but I have to admit the pop of color is nice...I love color! 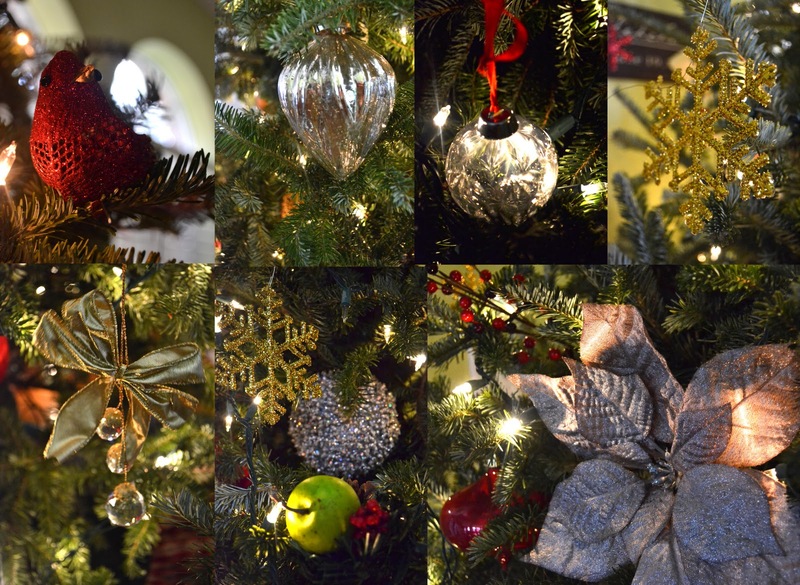 I am not big into ribbon or garland around the tree...but I love sticking branches and berries in it. I LOVE to fill it with pretty ornaments, and this year instead of our cheap start I just made a big bow for the top out of ribbon I got on sale last year. Matt came and put my Santa gift by the tree Monday (notice the bike to the side), and took a minute to check out the tree and said, "Our tree looks so good! "...that is all that really matters to me; that WE love it! 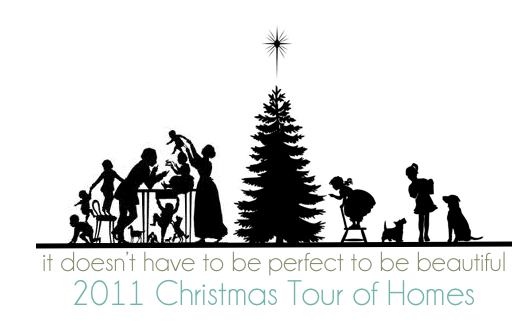 I'm joining in The Nester’s Tour of Homes this year...click on the link to see more beautiful homes!